Slice of Pi Quilts: There's a new workhorse in town! There's a new workhorse in town! I figured today would be a good day to finally introduce you to my new-to-me Juki TL-2010Q! I've actually had the Juki for a little more than six months and made thirteen quilts with it, but I'm still learning little quirks about it. 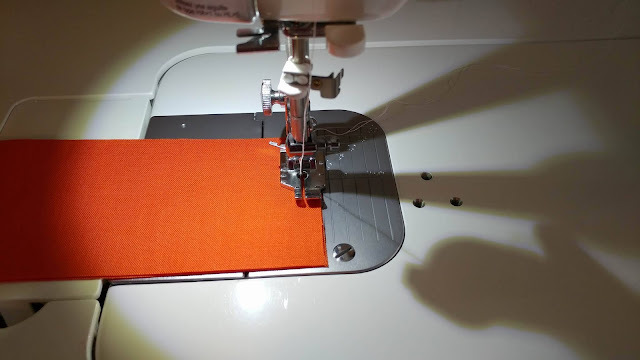 I know a lot of fellow quilters that have the same machine, but it hasn't been love at first stitch. My old machine was a Bernina 930 Record. 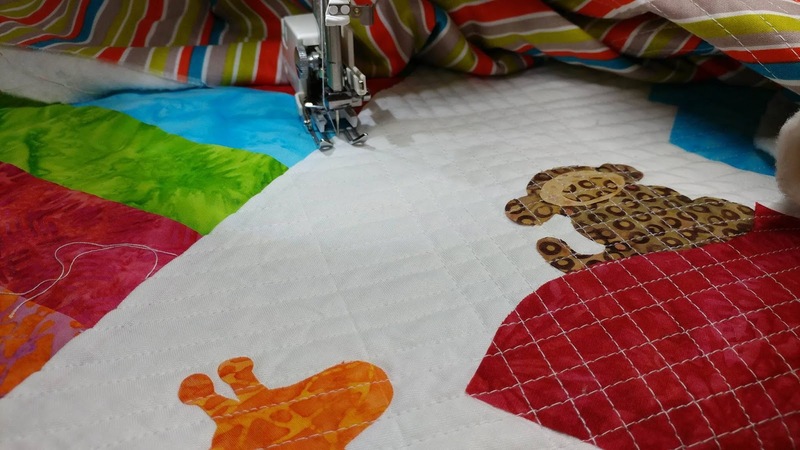 I had purchased it while making my very first quilt in 2010 (read about the quilt and a little about the machine here). I really loved that machine. I knew the machine inside and out. Which is why I knew it was time to start looking into a new one. It still sews perfectly fine, but I know the sound of the machine, and it changed recently just ever so slightly. It likely wouldn't be noticeable to anyone else, but I wanted to get a new machine in place before the worst happened! I knew I needed a semi-industrial machine for as much sewing as I do. I also wanted it to be mechanical (not computerized). 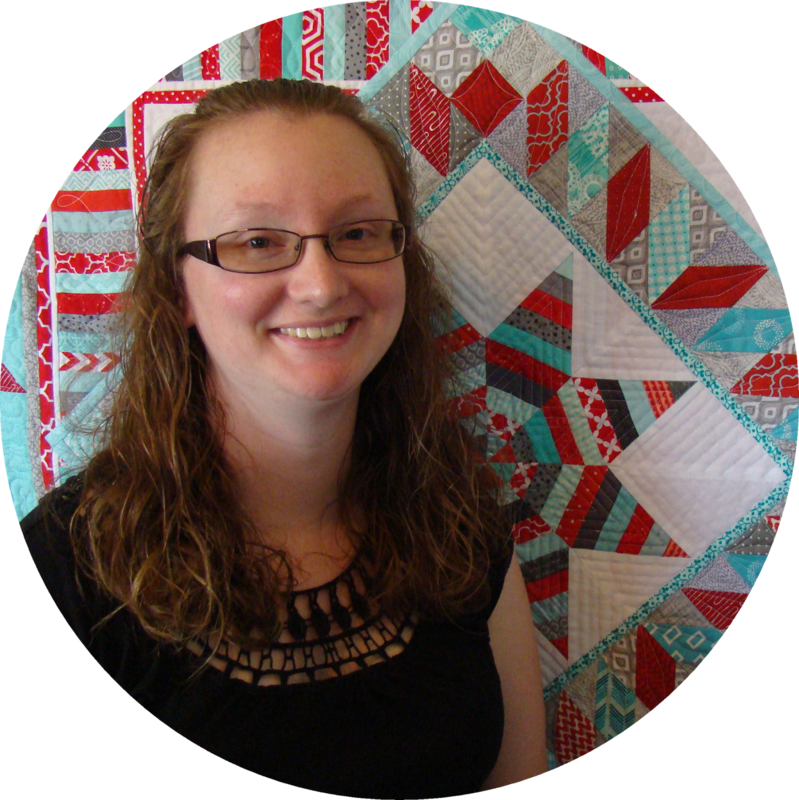 I primarily do piecing, walking foot quilting, and free motion quilting, so a straight stitch only machine would be fine. 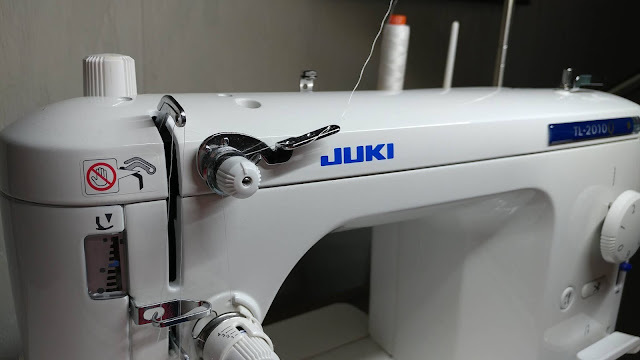 Many of my online sewing friends have a Juki, so when a gently used one came up for sale on Instagram at the end of last year, I decided it was time to bite the bullet. Once the machine arrived, I took it out of the box to make sure it wasn't damaged, but I didn't immediately set it up. 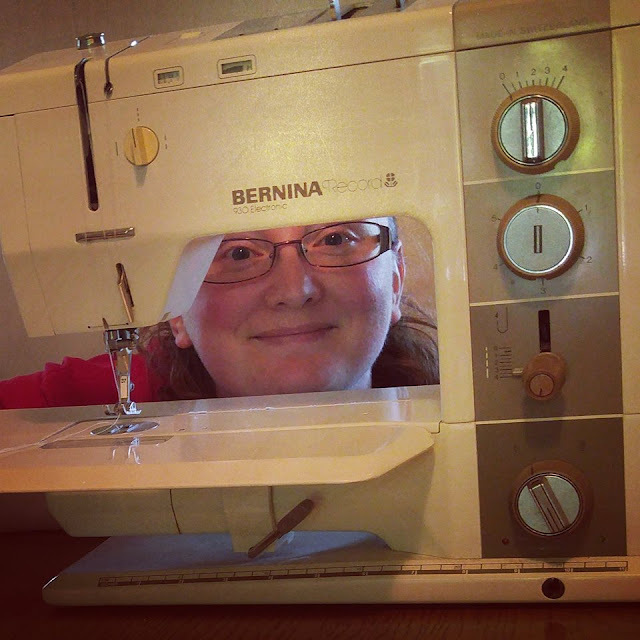 It sounds quite silly, but it actually felt like I was cheating on my Bernina! I was more sentimental about switching machines than I ever thought I would be! I took my old Bernina to a quilting retreat in February, and when I got back, I didn't take it back out of the case. The new machine has some amazing features! The throat space is so much larger than I'm used to! 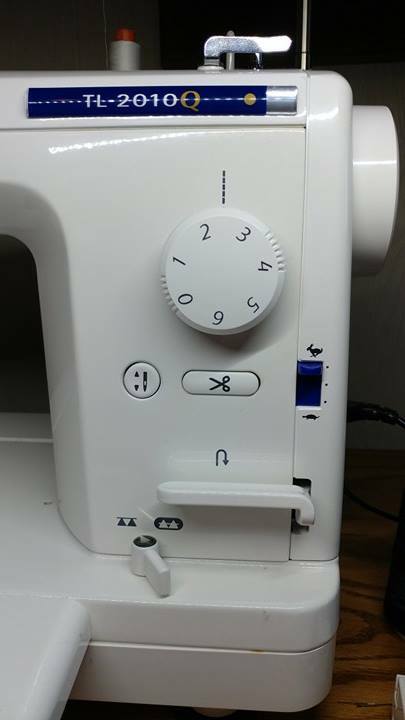 The rabbit speed really helps maximize my sewing time! 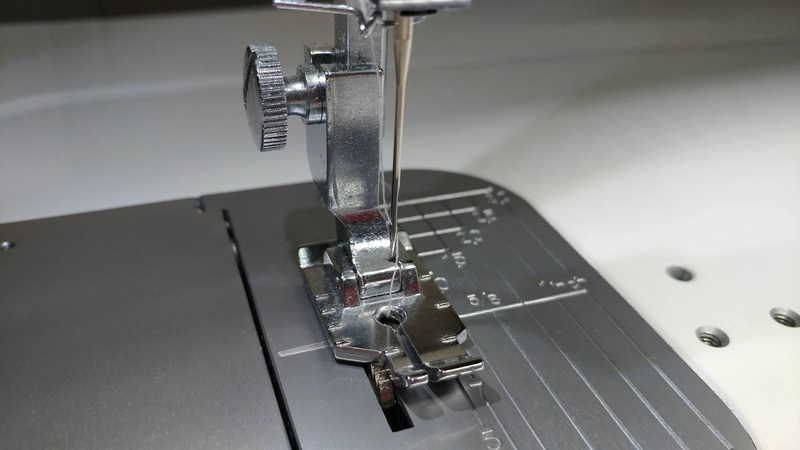 The needle stops in the down position during sewing, which is extremely helpful when quilting and lining up edges when piecing. 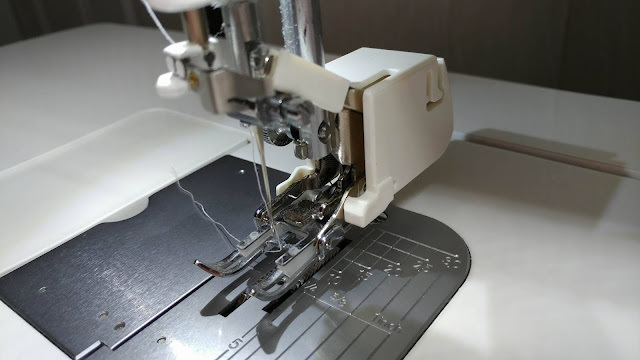 The automatic thread cutter is another new-to-me feature that has saved a lot of time when chain piecing (you can cut the thread in-between each piece instead of cutting them all apart at the end of a long chain). But. The walking foot is atrocious. It rubs on the set screw in the most obnoxious way (metal on metal). It's squeaky and wears the metal off the screw. It doesn't come with guides to help keep the spacing even. And it doesn't feed like a walking foot should - it pushes the top fabric and creates puckers when crossing seam lines. I had to sew at the slowest turtle speed of the machine, and the fabric was still puckering. I had joined a Facebook group for others that have the same machine, but wasn't having luck fixing these two problems - which to me are deal breakers! Within the group, some had suggested ordering guides that can attach to the walking foot ($44.99), but that doesn't fix the issues with the foot itself. Apparently the set screw has been recalled and will be replaced free of charge if you contact your Juki dealer. But at the end of the day, the walking foot just wasn't the same quality as the one I had with my Bernina. Thanks to Rose, I immediately ordered a new walking foot. I ordered this one from Amazon. It is a "Janome Convertible Even Feed Foot Set for high shank models" that is $59.99. The item number (as listed on the Amazon listing) is 214516003. Just two days later, my walking foot dreams came true! Not only did the foot work properly and feed the top and bottom fabrics evenly, but the foot came with guides and has a plastic sleeve over the arm that goes over the set screw (no squeaks!). AND I can sew as fast as I want! It's a Janome foot, and fits the Juki perfectly. It's too bad that Juki hasn't caught on yet, but I'm stoked that I was able to find a solution! Update and full disclosure: The top feed dogs on the Janome foot do not perfectly align with the feed dogs on the machine. 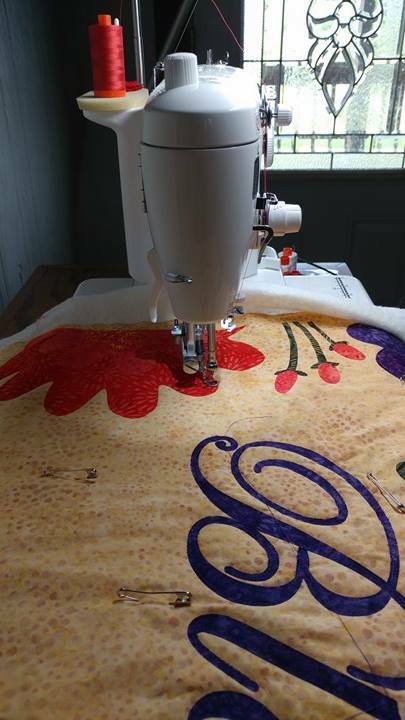 I have made dozens of quilts since purchasing the walking foot, and the fabric always feeds evenly. I have not noticed any issues whatsoever with the feed dogs not being aligned with the foot. Also, the needle is not centered in the center of the foot. Again, this has not affected my sewing at all. I either line up the needle with where I want to sew, or I line up the edge of the foot or guide with a seam or previous stitching line. 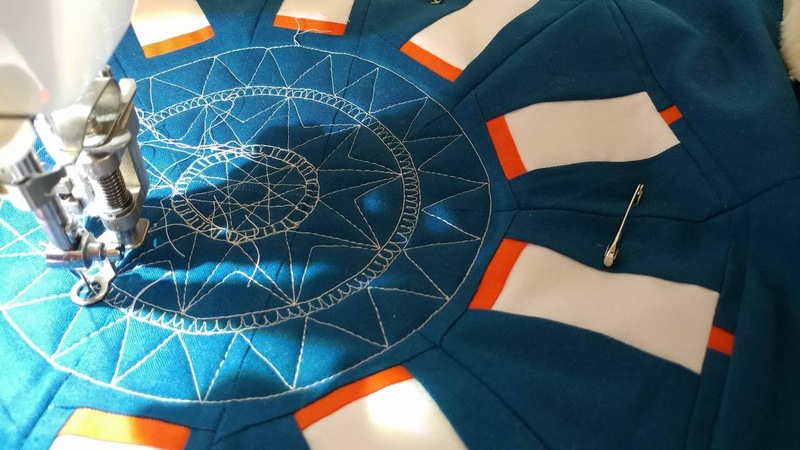 It has not impacted my quilting at all for the needle to not be centered. To me, these two "issues" are so extremely minor (especially since they haven't affected my sewing) compared to the major issues I had with the Juki walking foot. Definitely worth it! 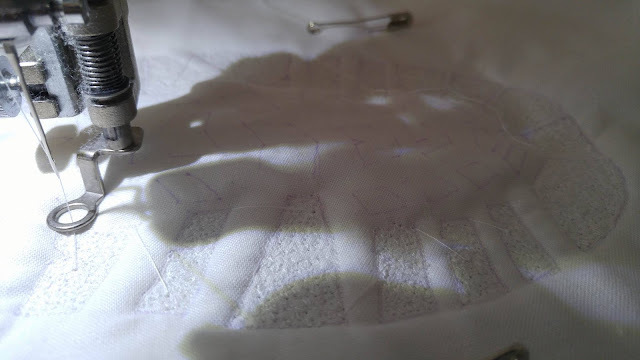 When I first got the Janome walking foot, I sewed FAST. I wanted to see what it's limits were. Well, it never complained! So I now use it on rabbit speed every single time. I've made at least 30 quilts since buying the foot, and it has not broken or even acted like it might. Also, the machine didn't come with an adequate 1/4" foot. I ordered this 1/4" foot, but haven't loved it. It is 1/4" at the front, but widens towards the back. I have a different one ordered, but haven't received it yet, so I'll get back to you with a review soon. Rose suggested a "genuine 1/4" seam foot with guide for high shank Juki" that she got off of eBay. She removed the guide on hers, which I will likely do to mine too. I'll let you know! Update: I decided to stick with the 1/4" foot that came with my machine. I have found it to work quite well. It is an open toe foot and the left and right edges line up with the left and right sides of the feed dogs. It's suiting me well for me now! I am SO satisfied with the machine now! The factory free motion foot works great for me and produces results I am very happy with. 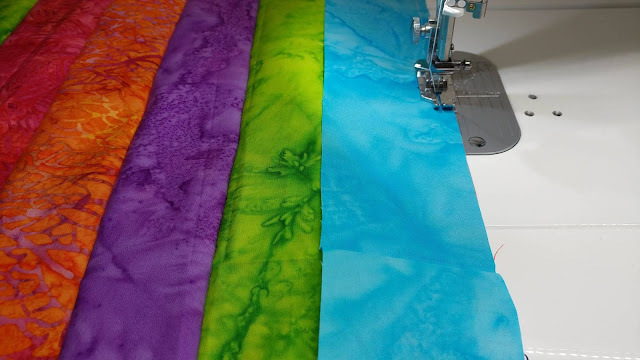 I can quilt from the front of the machine or the side if I need to quilt from left to right instead of the usual top to bottom. 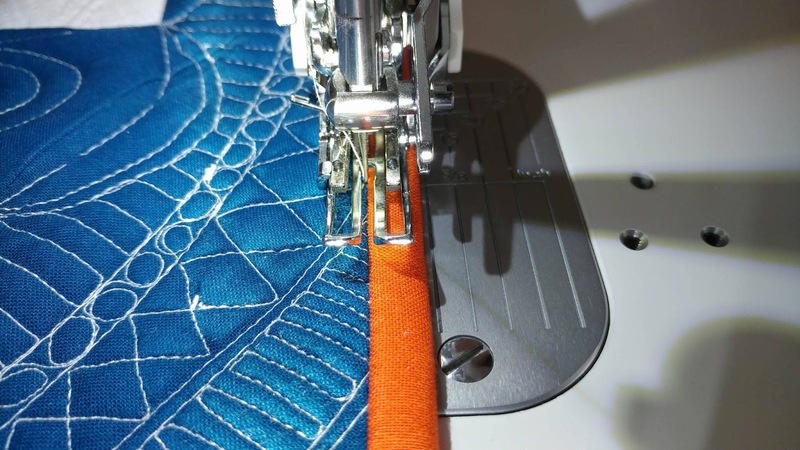 The Janome walking foot makes straight-line quilting very quick and painless. It may not have been love at first stitch, but I can say I love it now! 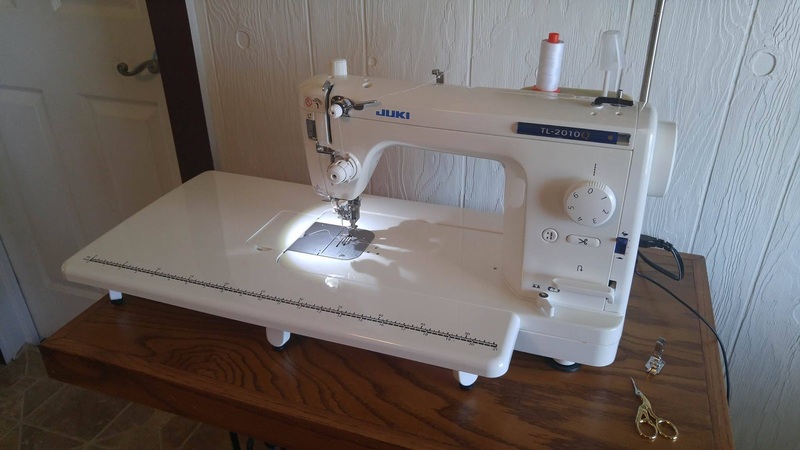 I still feel like I'm getting to know the machine (I still have to really concentrate on the model name: Juki TL-2010Q), but I'm feeling much more confident that it will be a good replacement for my vintage Bernina! I'm looking forward to many years - and many quilts - of happy sewing together! 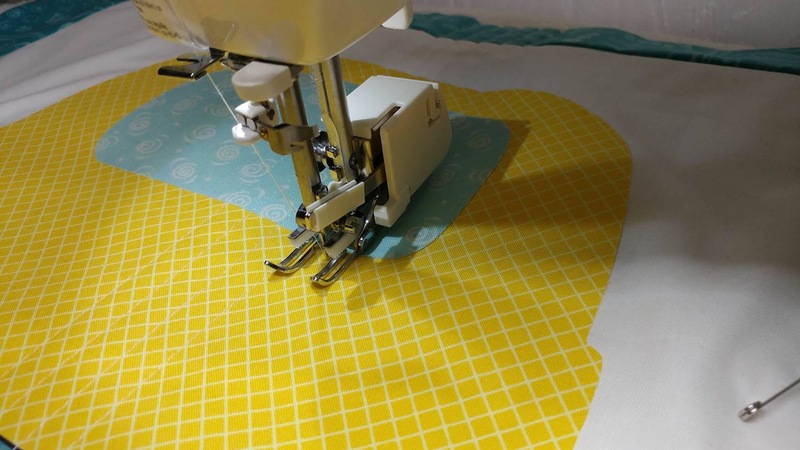 Linking up with Main Crush Monday at Cooking Up Quilts, Let's Bee Social at Sew Fresh Quilts, Can I Get a Whoop Whoop? 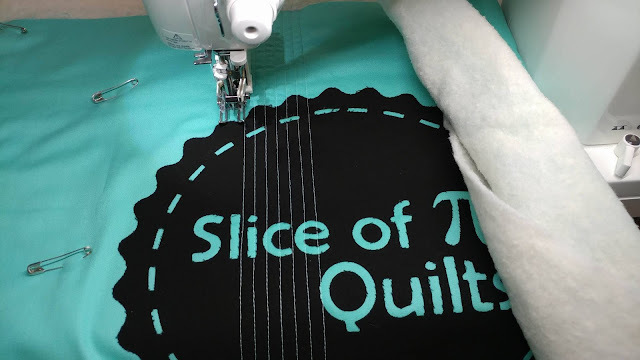 at Confessions of a Fabric Addict, and Tips and Tutorials Tuesday at Quilting JetGirl. I have friends that have Juki's. They are indeed work horse machines. Someone like you really needs a heavy duty machine. I'm glad you could work out the problems. Have a happy day stitching! So glad you have made peace with your Juki. Walking feet are an interesting problem. Back in the day they were called plaid marchers, and I believe, we not used as intensely as we quilters use them. 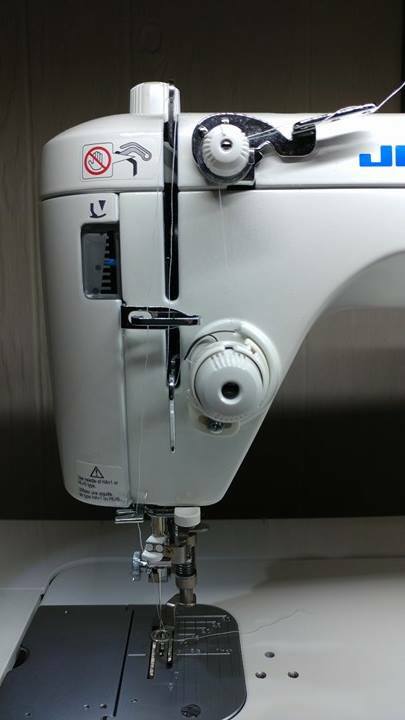 I love my Bernina 440qe but it lacks throat space (and I do other kinds of sewing every once in awhile). It is a hard adjustment to a new machine, but glad you seemed to get over the hump. Ugh... plaid matchers not marchers! 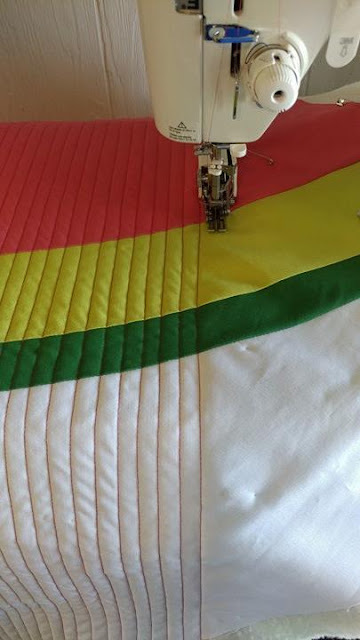 Great post and thanks for the mention, I'm glad you joined the Juki and Janome club, it does make straight-line quilting so much nicer. BTW, don't forget to label your Juki foot (which is great for sewing binding) because you don't want to accidentally use it like I did. Happy quilting! Very helpful, Laura! I recently purchased a Juki 2200 QVP mini and am not loving the walking foot at all! Going to explore the Janome walking foot. Also, thank you so much for linking up with Tips and Tutorials Tuesday! Yay! I am so glad that Rose had posted at almost the same time you did and my old brain was able to remember, locate, and share that post with you. I have the tl98q. I use it on a grace frame. I know I have used it for piecing and didn't notice a problem with the 1/4" foot. I may need to try itvagsin. I would like to get another one. I do love my Juki. I cannot THANK YOU enough, I'm ordering the new walking foot NOW! I have been so unhappy because the main reason I bought my juki was for the walking foot! It has been disappointment after disappointment! I'm so excited! Ok, I bit and ordered one, I have not loves the Juki walking foot on mine either...and now I look forward to an improved sew! Thanks for sharing. Primitive Gatherings has the authentic Juki 1/4" foot BTW and I do love that though I am toying with removing the guide also. I have three Juki machines and love them, especially for the price. 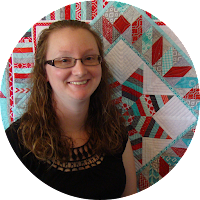 I'm still quite the novice quilter and still learning. I've had the same issue with the walking foot but thought it was my technique. I also have the laser light but it's still in the drawer because I didn't know how to mount them. And now I do! Thank you. 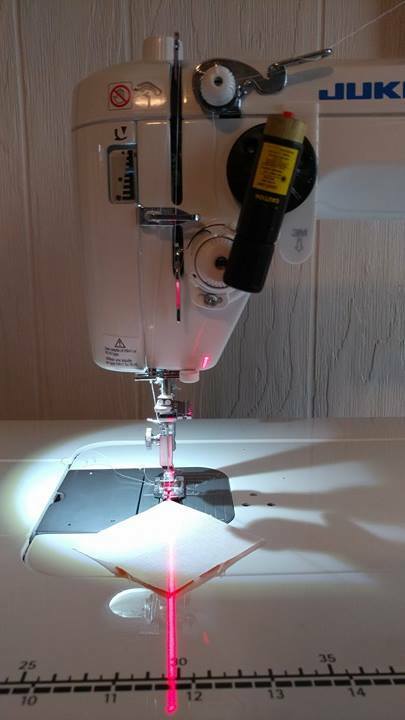 I ordered the Janome walking foot a few months ago based on advice from that same FB page and you are so, so right -- it is 100% a game changer! I HATED the Juki walking foot. 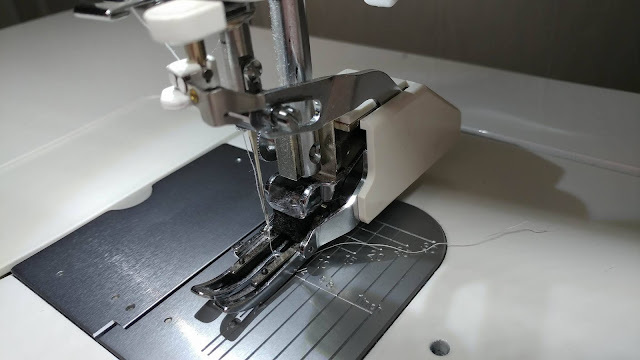 I contacted the vendor I got my machine from and got the updated needle screw and while that eliminated the metal-on-metal grinding, it didn't eliminate all the other issues with the foot! It's so disappointing that Juki doesn't do something to improve it since otherwise, it's such a great sewing machine. 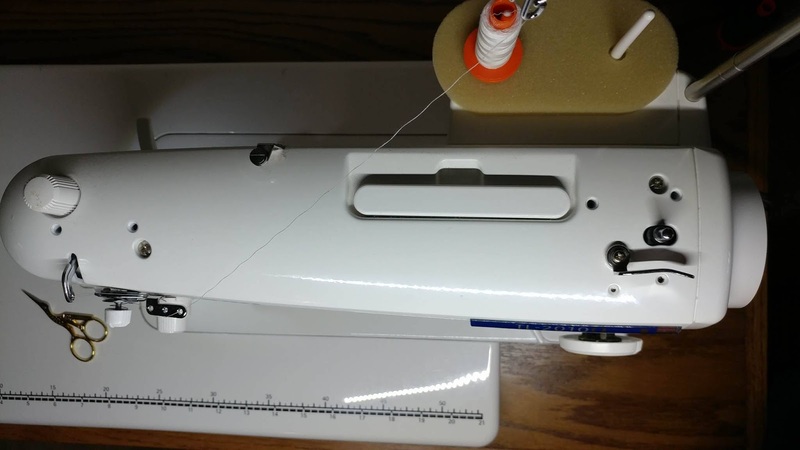 As for piecing, the foot that comes with the machine is not actually a 1/4" foot although a lot of people mistakenly think it is. I bought a cheap metal magnetic seam guide off Amazon. It sticks to the throat plate and it does the job wonderfully. I love my Juki workhorse too but also had to do a few adjustments such as purchase a quarter inch foot, open toe free motion foot and add more lighting (check out the InspireLED light kits!). Thanks for the tip on the Janome walking foot...I will be adding it to my wishlist!! Thanks for the info on the Janome walking foot! I've added that to my Amazon wish list. I've sort of adapted to the Juki even feed foot, but you're right, it isn't great. I especially miss the guides to keep the lines of stitching evenly spaced that my last machine had. Thanks for the honest review and the tips! Great post and I'm glad you found a solution for the walking foot problem. I love my old Singer sewing machines but have yet to find a walking foot that seems to work correctly with them. thanks for the info on the walking foot. I have a question for you. When free motion quilting what do you have your tension set at? I have been trying to work this out on mine. 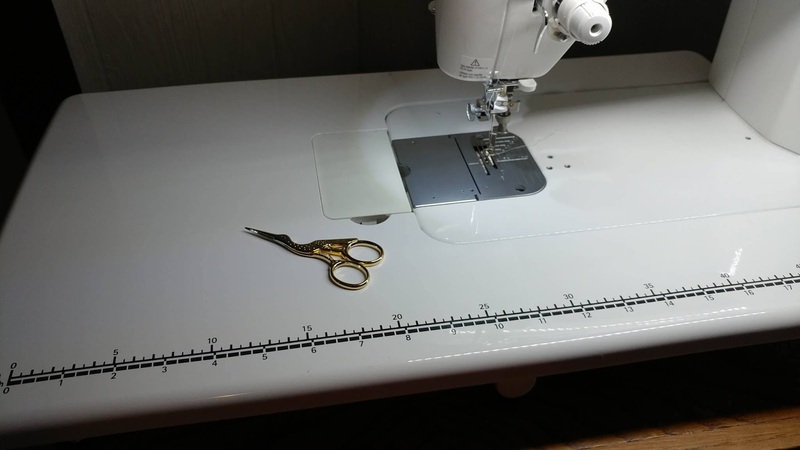 I use the compensating foot on my Juki TL2010 and get perfect 1/4" seams. I wish I could remember where I saw this so I could give them credit. It seemed awkward at first but I love it now. Thanks for this post Laura it's so helpful! !